UNITED NATIONS, May 10 2018 (IPS) - Reham Qudaih wakes up nightly to the same nightmare: her father shot, lying on the ground in a pool of blood. “In my dreams he is on the ground shot. When I have that dream – which I’ve had more than once I wake up screaming,” she told the Norwegian Refugee Council (NRC). In a recent study, NRC found that children living in the Gaza Strip are experiencing are showing increasing signs of psychosocial deterioration since clashes reignited in the region. “The violence children are witnessing in Gaza comes on top of an already worsening situation negatively impacting their mental wellbeing,” said NRC Secretary General Jan Egeland. “They have faced three devastating wars and have been living under occupation for the past 11. Now they are once again faced with the horrifying prospect of losing their loved ones, as they see more and more friends and relatives getting killed and injured,” he continued. Now in their sixth week, ongoing protests at the border between Gaza and Israel have left over 40 killed and more than 5,500 injured since its inception in March. While Palestinian demonstrators are reportedly using burning tires and wirecutters to breach the barbed-wire border fence, Israeli forces have retaliated with rubber bullets and live ammunition. Dubbed the ‘Great Return March,’ the demonstrations are centered on Palestinian refugees’ right to return and resettle in Israel. NRC’s study—which saw 300 school children aged 10 to 12 surveyed—found that 56 per cent reported they were suffering from nightmares. Principals from 20 schools also reported a rise in symptoms of post-traumatic stress in children, including fears, anxiety, stress and nightmares. The principals ranked increased psychosocial support in schools as their top need currently. Qudaih is fourteen and lives in the Gaza strip. She has suffered from ongoing nightmares since the 2014 Gaza-Israeli conflict. She was making progress in coping with her trauma, but much was unravelled after her father was shot in the leg while attending the protests. On the day that Qudaih’s father was shot, Israeli troops killed 20 Palestinian protesters and wounded more than 700 – including children. “We went there [to the protests] to reclaim our rights that were taken away by the occupation…we do not have electricity, rights or food. We don’t get any treatment or a chance to play,” Qudaih said. 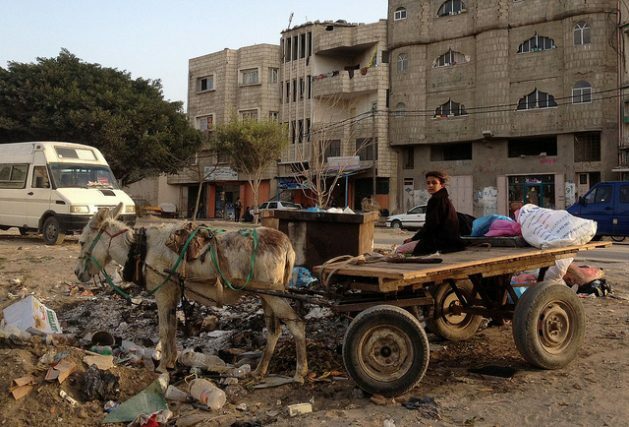 Since 2007, Gaza has faced an economic blockade by Israel and Egypt, contributing to a persistent humanitarian crisis. According to the UN Children’s Fund (UNICEF), half of the region’s children depend on humanitarian assistance and one in four needs pscyhosocial care. The United States’ recent move to cut aid to the UN agency for Palestinian refugees further threatens the already very fragile community. In addition, there is a lack of medicine and health equipment while power cuts and fuel shortages have disrupted water and sanitation services leaving nine out of 10 families without regular access to safe water. If such trends continue, the UN has predicted that Gaza will be uninhabitable by 2020. Inconsolable since the incident, Qudaih constantly worries about the safety of her family and her future. And her nightmares keep on returning. Sadly, her story is not a unique for the children living in the Gaza strip. “The escalating violence in Gaza has exacerbated the suffering of children whose lives have already been unbearably difficult for several years,” said UNICEF’s Regional Director for the Middle East and North Africa Geert Cappelaere. Apart from the symptoms of severe distress and trauma, Geert added that children are also experiencing physical injuries. Fourteen-year-old Mohammad Ayoub was among the children that was killed in the protests, significantly impacting the younger members of his family and the larger community. “Children belong in schools, homes and playgrounds – they should never be targeted or encouraged to participate in violence,” Cappelaere said. “For the children we work with, the nightmares continue for months and years after the violence that causes them. For these children they don’t have a chance to recover from previous trauma before fresh layers arise. That builds up,” said Jon-Håkon Schultz, Professor in Educational Psychology at the University of Tromsø in Norway. “We need people to look seriously and invest in ways that we can counter these harmful psychological impacts,” he added. 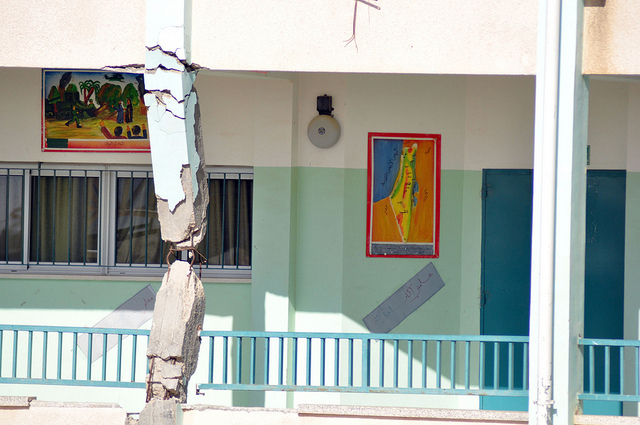 The NRC provides psychosocial support to children living in Gaza and provide training for teachers through their Better Learning Programme (BLP) developed in partnership with University of Tromsø in Norway. One of the features of the program involved screening children for nightmares and helping them work through their re-occurring ones through breathing and drawing exercises. Qudaih is among the 250,000 children supported by NRC. “We want to have dignified lives,” she said, urging the need for peaceful demonstrations. The ‘Great Return March’ began on 30 March and will end on 15 May to mark what Palestinians refer to as the “Nakba”, a day that commemorates Palestinians’ displacement after the establishment of Israel in 1948. Marchers have also pointed to the relocation fo the U.S. embassy to Jerusalem as a driver for the demonstration, a move that will take place on 15 May.